The truth is that the legend has seen a thing or two in his day. 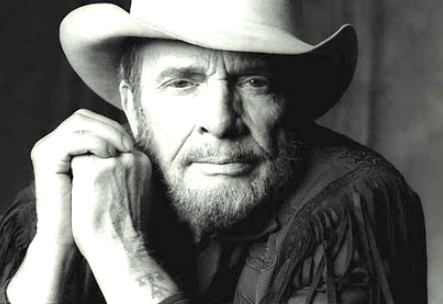 With a career spanning from the early sixties to Django and Jimmie, his most recent release with Willie Nelson, Haggard has put 76 studio albums, 48 compilation albums, and 38 #1 singles on the shelves. Even with the success of today (Django and Jimmie charted at #7 on the Billboard Top 200), there is no room to question the overwhelming success of Haggard’s past and the narrative attached to his success. His story is that of the American dream. Born in a converted boxcar in 1937, Haggard’s family was the textbook definition of working-class. Left with a single mother after his father passed away when Merle was 9, he found himself drawn towards rebellion and crime as a means of survival. This path would lead him down a wayward runaway life filled with juvenile detention centers, schools for troubled kids, and eventually, prison. His interactions with several hopeless inmates sparked the desire for a better life. During his stay, Johnny Cash, who played at the prison where Merle was housed, also heavily influenced him. It was that outspoken nature that made Haggard unique and that now separates him from the current music scene he once helped build. Frankly, if Haggard thinks it is time for something else, there is really only one question left to be asked; who will be the champion of the working class when Merle finally allows himself the right to sink back in that chair? God knows he’s earned the right to rest.